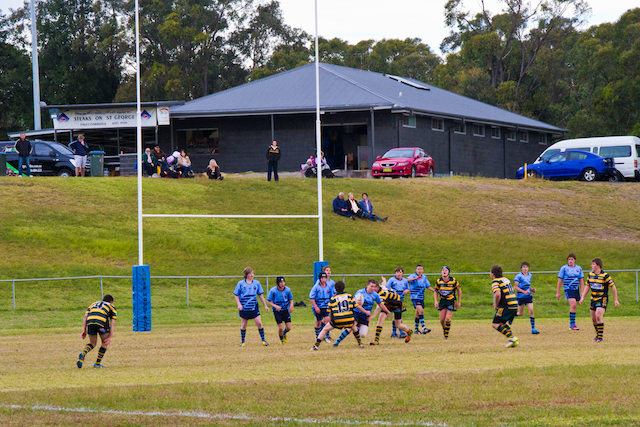 Lower Mountains Junior Rugby League Club is located in the Lower Blue Mountains. Our home ground is Warrimoo Oval situated at the end of Rickard Rd Warrimoo and consists of two full sized rugby league ovals and one of the most modern and well equipped sporting amenities in the district. Lower Mountains Junior Rugby League Club. A truly family orientated club we offer teams for players from 5 -75 years for young boys and not so young boys. Girls are able to participate up to 12 years old in a mixed team. All our players, coaches, managers and parents are governed by a very strict code of conduct which provides for a safe and congenial place for the players to play while their mums and dads cheer them on. The aim of our club is to provide players with the very best coaching available to enable them to develop the skills for each player to the level they are comfortable with or the level they wish to achieve. The Club supports all players, no matter whether their ambition is big or small. Lower Mountains is a non-profit junior rugby league club with all monies raised going back to the players in the form of training equipment, playing gear (jerseys, footballs, tackling bags etc) together with the maintenance and improvement of the playing fields.